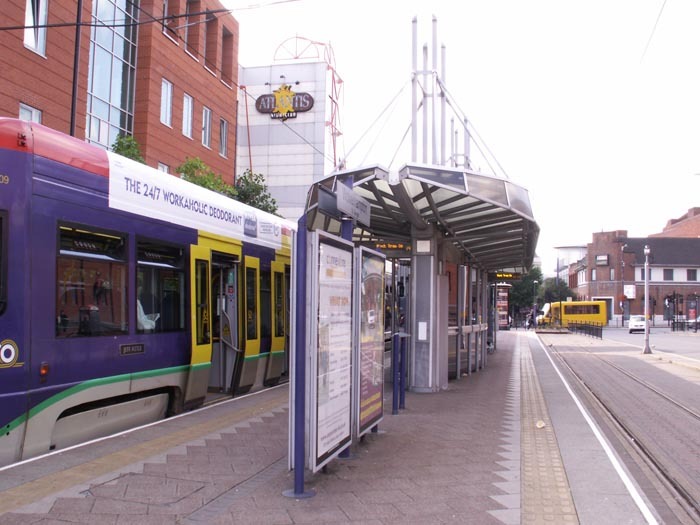 Wolverhampton St Georges is the current terminus for the Midland Metro and I have to say I was expecting something a little more interesting than that which actually exists. 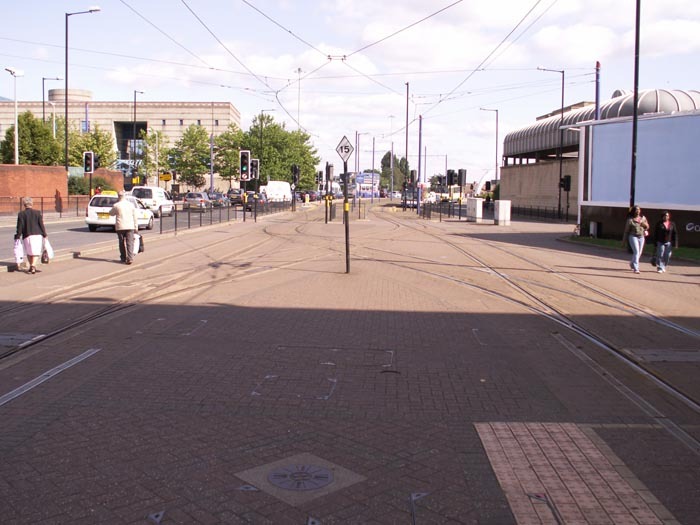 At this point on the line, as can be seen, the Metro actually operates as a tram at road level which adds interest and adds a little bit of nerves to someone not used to the area when driving along Bilston Road and stopping at traffic lights next to a tram. 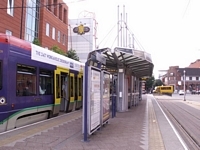 Above we see Asnaldo T69 tramcar No.9 at rest at St Georges awaiting the return journey to Birmingham Snow Hill. 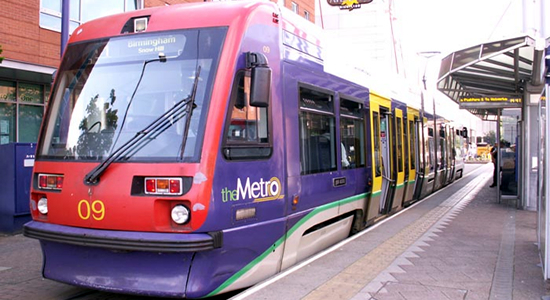 It appears that the T69's days are numbered on the Metro as they have proved highly unreliable and costly to maintain (I can only assume that this cost is reflected in ticket prices!) and it has been reported that a replacement fleet is being sourced at present. 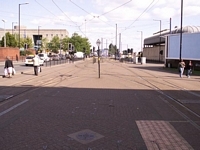 Above-left we see the Metro stop itself which is an island platform and above-right we see the intricate crossover trackwork at St Georges looking towards The Royal stop.